Fragrance can be one of the easiest additions to any look. The application process is simple: spritz the neck, wrists, bend of the knees and sometimes in the hair. A trend that was popular back in the 90s is resurfacing and breaking the rules of the way we typically wear a scent. Designers are now recreating scented jewelry- necklaces, earrings and bracelets - that either contain perfumed oils or carry fragrance beads. Not only are they a beautiful addition to any ensemble, but they also prevent your perfume from fading throughout the day. 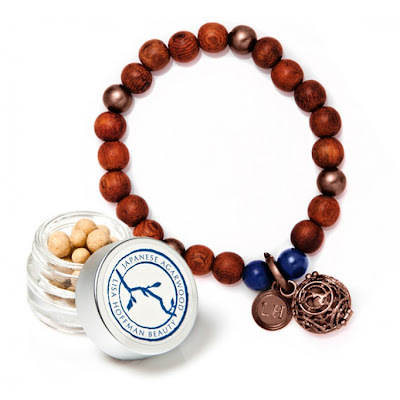 Lisa Hoffman designed an entire line of earthy and oriental inspired jewelry. She also collaborated with Tom Binns on a line that is sleek and has a more minimalistic feel with a spiced-bohemian scent. Her jewelry ranges from $65-$250. 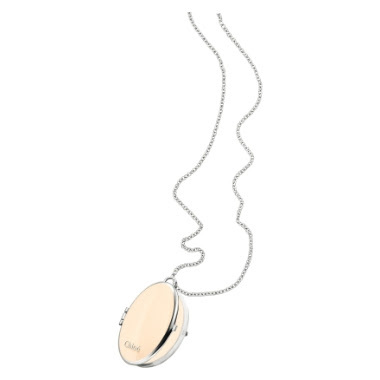 Chloé also came out with its own solid perfume locket which is infused with the brand’s signature scent. The design is very dainty and feminine- peach with the classic Chloé name printed on the front. Although it sold out almost immediately, some can still be found at select Saks Fifth Avenue locations. 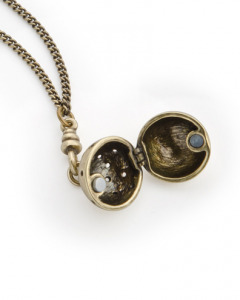 A less-expensive ($29.99), but still chic fragrance necklace comes from the designer Jewelmint. 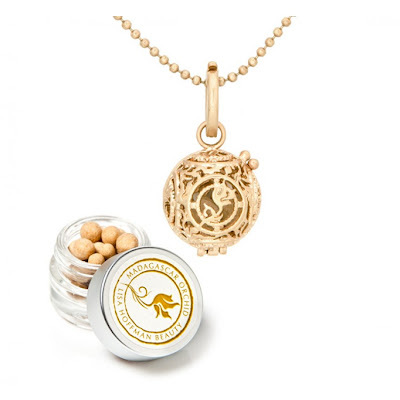 The Pomander Pendant contains a piece of cotton which you spray with your favorite scent and carry along with you. Because this scent is so popular amongst its buyers, the brand releases this scent multiple times a year. With the addition of these jewelry perfumes, anyone can make two fashion statements in one without breaking the bank. Not having to buy perfume and jewelry separately could be a bonus that your wardrobe and wallet could use right now.